His Highness Sheikh Dr. Sultan bin Muhammad Al Qasimi, Supreme Council Member and Ruler of Sharjah, launched ‘Sharjah Sustainable City today (Wednesday), the first urban mixed-use project in the emirate, which meets the highest standards of green economy and environmental sustainability. 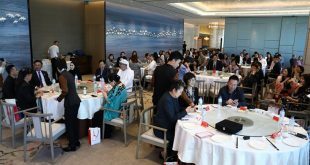 It is the outcome of a strategic partnership between Sharjah Investment and Development Authority (Shurooq) and Diamond Developers, a leading sustainable communities developer in the UAE. The AED 2 billion project is spread across 7.2 million sqft, and is strategically located in Sharjah near Al Rahmaniya area, easily accessible from the Sharjah International Airport and Sharjah University City. Upon completion, it will feature 1,120 eco-friendly and energy-efficient villas with a modern-meets-oriental design in harmony with the unique architectural aesthetic Sharjah is known for. 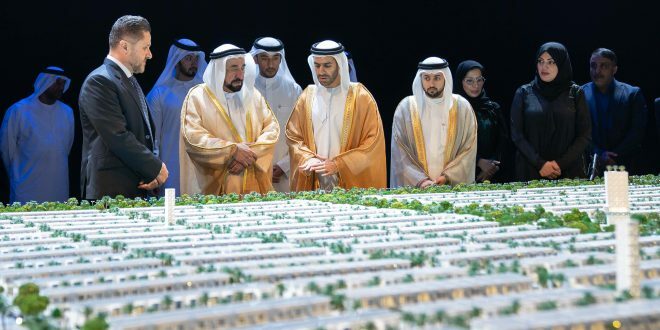 During the official launch ceremony, His Highness the Ruler of Sharjah learnt about the features of the residential units and other facilities through a 3D city model displayed at the event. He also received details about the eco-friendly technologies the city will be built on, and the key environmental and health benefits they will offer to the city’s future residents. The project will include a sustainable school, which will promote the concepts of sustainability through school curricula. It will also feature a ‘Sustainability Experience Centre’ – a platform to host meetings and forums by government and academic entities, NGOs, as well as school and university students, centered around promoting awareness about environmental issues and sustainable living. The project encompasses 3, 4 and 5 bedroom villas built on spacious 2,035 – 3,630 sqft plots, and are being designed to offer discerning buyers the perfect combination of comfort, practicality and style. These smart homes in the city are being built to offer up to 100 percent savings on electricity bills and 50 percent cuts on water bills. 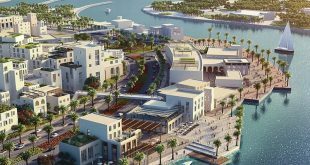 The project includes a number of public facilities – a community shopping centre for premier shopping and entertainment, a venue to host social events, health clubs, swimming pools, cycling and jogging tracks, restaurants, nurseries, medical clinics and a mosque. 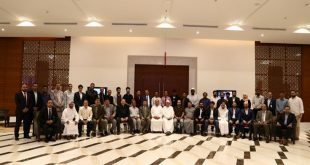 Sharjah Sustainability City is poised to be a landmark contribution by Sharjah to the global movement towards reducing carbon footprint, slowing global warming and decreasing the harsh impacts of climate change. It reflects Shurooq’s commitment to promote the green economy culture in Sharjah and the UAE, and create new opportunities for the establishment of world-class infrastructure that promotes environment-friendly and sustainable living. The project’s partners have announced that purchase contracts for the villas will be available to interested buyers, starting tomorrow (Thursday). Sales representatives will be on duty to furnish customers with comprehensive details about prices and payment and allotment plans. The finished villas will be fitted with eco-friendly appliances. In line with Sharjah’s vision to make home-ownership more accessible to locals and residents, special payment plans have been designed exclusively for Sharjah-based locals as well as Sharjah government employees (both Emiratis and expats). The residential green project implements best environmental practices to reduce environmental footprint, which will be seen in the deployment of electric and autonomous car shuttle services within the city, and electric car charging stations. Sharjah Sustainable City is designed to cover all three elements of sustainability: social, economic and environmental. The Executive Chairman of Shurooq also explained that Sharjah Sustainable City, located at Um Funnain area, is powered entirely by renewable energy produced by solar panels, and has recycling plants that will recycle water and waste, a 100 percent. The city will feature biodome greenhouses and outdoor gardens to support sustainable farming of a variety of fruit and vegetables within the community. Yousif Al Mutawa, CEO of Sharjah Sustainable City, noted the integrated residential project reflects the vision of Sharjah government to promote economic diversity and aligns with the global approach to support green investments within the sustainable development framework. non-traditional community with world-class amenities and state-of-the-art infrastructure, and has presented a brand new opportunity in sustainable investments. 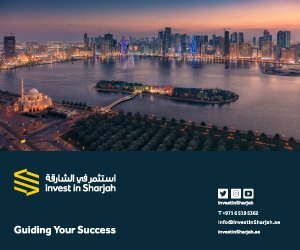 More details about the project and investment opportunities are available on SharjahSustainableCity.ae or call 06 556 6649, and buyers and customers can visit the project’s sales office located at Al Majaz Waterfront.